Co-organizers: Eesti Riiklik Nukuteater - Estonian State Puppet Theatre, Estonia; Maladype Theatre, Hungary; Mini Teater, Slovenia; Open University Subotica – Festival of Children’s theaters Subotica, Serbia; Teatro Neline, Slovakia. In Croatian contemporary theatre as well as in most countries of the Central and Eastern Europe, stage design and visual creativity have been seriously neglected as theatrical components. Once there were influential schools of theatre design and strong personalities in the field, but after the change of social system the study of stage design has been relegated to the Faculty of Architecture and School of Design. This marked a break between university education and the contemporary practice which requires a complete artist. In this sense the Zagreb New Theatre is unique in the region. The projects of this theatre bring together exceptional visual artists who have significantly contributed to the conceptual and technical development of stage design. Theatre companies taking part in the Nomads of Beauty Project (New Theatre, Mini Theatre, Maladype Theatre, Subotica Open University (International Children’s Theatre Festival etc.) come from smaller European countries (Croatia, Estonia, Hungary, Belgium, Serbia), where very different practices are in use. The idea is to share the exceptional Croatian experience of the visual artists’ work on theatre design with partners, and thus put into action the idea of a nomadic art school. The name Nomads of Beauty was adopted from the historical avant-gardes of the twentieth century. In it visual artists from Croatia, Slovenia, Netherlands, Serbia and France will create stage design/installation/videos/site specific/light installations. Young artists invited to participate in the creation of the project will work with the leading artist mentors, who will then be required to present the end result in all partner theaters. The Nomads of Beauty Project is implemented by Novo kazalište Zagreb (Zagreb New Theatre), an independent theatre founded with the intention of transforming an outdated organizational structure of the Croatian theatre. In the nine years the theater has made ten co-productions with independent organizations in Croatia, Slovenia, France, Belgium, Ivory Coast etc. The New Theatre has taken up a different stance from other Croatian theatre companies towards current and engaging issues (social isolation, peace dialogue, gender issues) and mobility (we have performed across the region and in twenty countries around the world), and is dedicated to engaging young artists for whom collaboration with the New Theatre is their first professional experience. The aesthetic and ethical principle of the New Theatre is for the experienced actors, directors and stage designers to share their knowledge with young people through workshops and seminars. We have found that, in Croatian contemporary theatre as well as in most countries of the Central and Eastern Europe, stage design and visual creativity have been seriously neglected as theatrical components. Once we used to have influential schools of theatre design and strong personalities in the field, but after the change of social system the study of stage design has been relegated to the Faculty of Architecture and School of Design. This marked a break between university education and the contemporary practice which requires a complete artist. In this sense the Zagreb New Theatre is unique in the region. Our projects bring together exceptional visual artists who have significantly contributed to the conceptual and technical development of stage design. Theatre companies taking part in the Nomads of Beauty Project (New Theatre, Mini Theatre, Maladype Theatre, Subotica Culture Center etc.) come from smaller European countries (Croatia, Estonia, Hungary, Belgium, Serbia), where very different practices are in use. We want to share the exceptional Croatian experience of the visual artists’ work on theatre design with partners, and thus put into action the idea of a ​​nomadic art school. The name Nomads of Beauty was adopted from the historical avant-gardes of the twentieth century. In it visual artists from Croatia, Slovenia, Netherlands, Serbia and France will create stage design / installations / videos /site specific / light installations. Young artists invited to participate in the creation of the project will work with the leading artist-mentors, who will then be required to present the end result in all partner theaters. 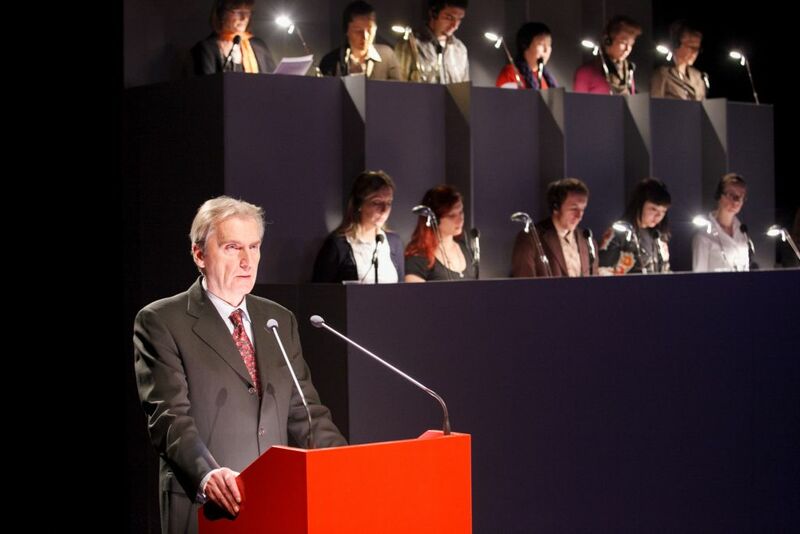 On May 11th 2012 the performance of a Croatian visual artist Dalibor Martinis Simultaneous speech was staged. We have drawn to participation numerous native speakers that have each in their own language importantly contributed to the success of the unique performance. One of the speakers in the performance was also the receiver of the 2012 Slovene Zupančič’s Life Work’s Award - the renowned Slovenian actress Olga Kacjan. 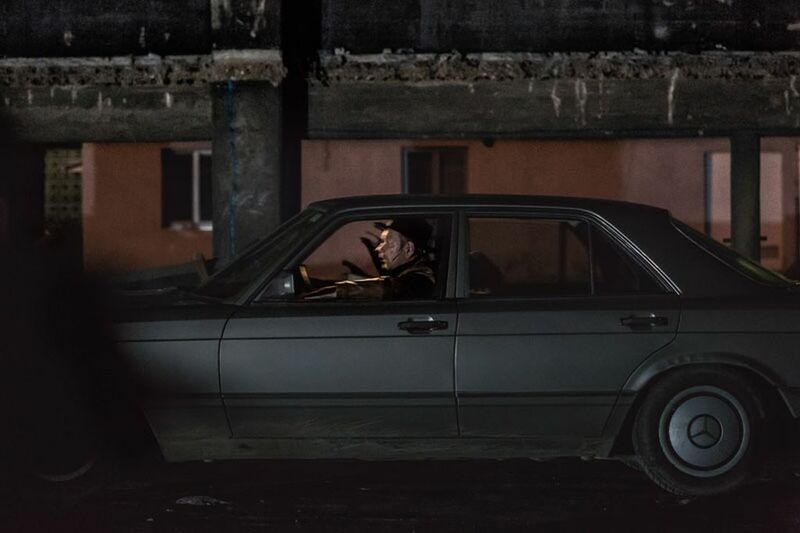 Dalibor Martinis, one of the most successful conceptual artists in this part of Europe, also designed the conceived the scenography for the The Noble Glembays that Ivica Buljan directed in the Slovene National Theatre Drama Ljubljana. Including in the process also the students, the increasing scenography of every act conceisely reflecting the decreasing and diminishing power of the elites and their power. With the performance that was created as a part of the international project The Nomads of Beauty which partner is also Mini teater and is co-financed by the European commission, program Culture (2007-2013) Mini teater hosted on May 11 2012 the performance of a Croatian visual artist Dalibor Martinis Simultaneous speech. We have drawn to participation numerous native speakers that have each in their own language importantly contributed to the success of the unique performance. As one of the translators or speakers in the performance was also the receiver of the Zupančič’s prize 2012 for life’s work – renowned Slovenian actress Olga Kacjan. At the 58th festival Splitsko ljeto in Split in Croatia on 8th, 9th, 10thand 11thAugust 2012 new performance of director and art leader of post drama theater in Mini teater Ivica Buljan called Goodbye Cowboy by Olja Savičević will be staged. 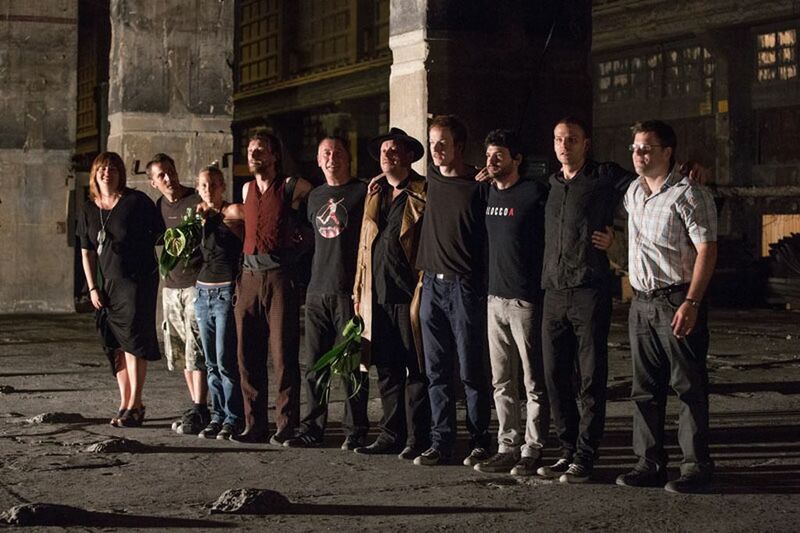 For the set design of the performance in which as performers participate: Zoja Odak, Nataša Janjić, Darko Rundek, Sergej Trifunović, Nenad Srdelić, Arijana Čulina, Nives Ivanković, Dara Vukić, Andrijana Vicković, Tajana Jovanović, Vicko Bilandžić, Goran Marković, Andrea Mladinić, Mijo Jurišić, Anastasija Jankovska, Milutin Milošević, Stipe Kostanić, Marko Cindrić, Ana Gruica, Marko Petrić, Nikša Arčanin, Lukrecija Tudor, Marjan Nejašmić Banić, Domagoj Janković and Velimir Foretić, is responsible Aleksandar Denić, costume design by Ana Savić Gecan, dramaturgy Olja Savičević Ivančević and music by Darko Rundek. The stage was set creating a movie resembling atmosphere. 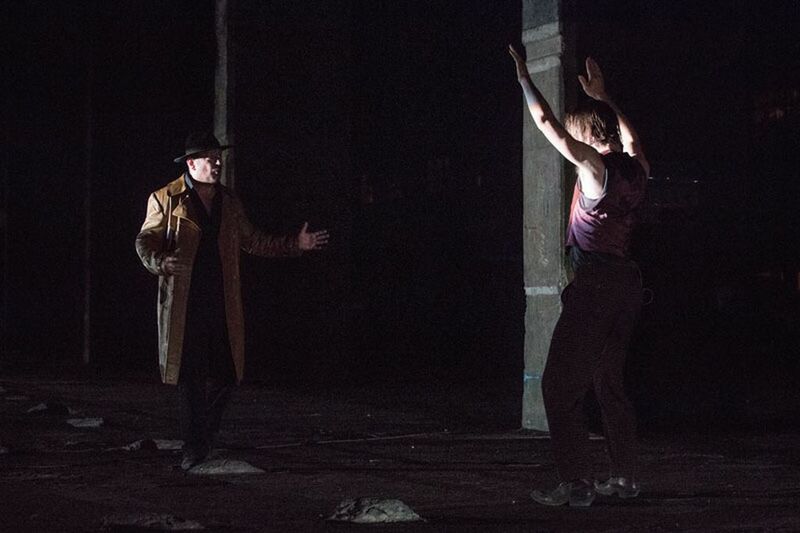 Wide and dusty it was set as an open-air scene, with that giving it an even more powerful impact on the audience. Creating an impact and energy in a widely open space was achieved also by the corresponding and creative stage and light-design. Combining the elements of nature and theatre it was a unique experience for the viewers and audience. Aleksandar Denić is a prominent stage and production designer whose work has comprised of theatre, feature films, exhibits, interior design, architecture and television commercials. His passing the knowledge on to young students was of an immense value. Giving them concrete advice about setting the stage (on a concrete example of the performance Goodbye Cowboy) based on his rich previous experience, teaching them how to adjust to different situations and settings. Goodbye Cowboy, a performance stage-wise combining theatre and movie elements, enabled young students to also think outside of the box, guiding them how to incorporate the seemingly uncontrollable or unpredictable elements in the way that advantages the performance. At the 58thfestival Splitsko ljeto in Split in Croatia on 8th, 9th, 10thand 11thAugust 2012 new performance of director and art leader of post drama theater in Mini teater Ivica Buljan called Good bye cowboy by Olja Savičević will be staged. 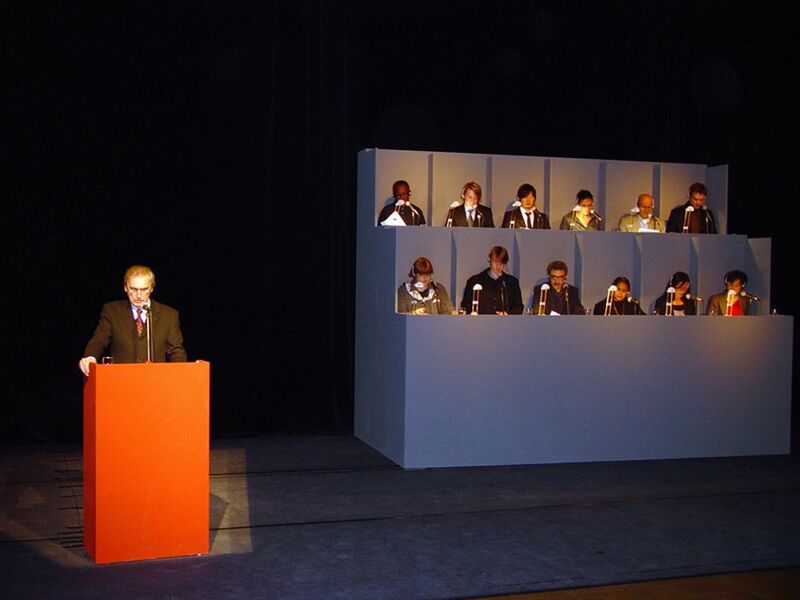 For the set design of the performance in which as performers participate: Zoja Odak, Nataša Janjić, Darko Rundek, Sergej Trifunović, Nenad Srdelić, Arijana Čulina, Nives Ivanković, Dara Vukić, Andrijana Vicković, Tajana Jovanović, Vicko Bilandžić, Goran Marković, Andrea Mladinić, Mijo Jurišić, Anastasija Jankovska, Milutin Milošević, Stipe Kostanić, Marko Cindrić, Ana Gruica, Marko Petrić, Nikša Arčanin, Lukrecija Tudor, Marjan Nejašmić Banić, Domagoj Janković and Velimir Foretić, is responsible Aleksandar Denić, costume design by Ana Savić Gecan, dramaturgy Olja Savičević Ivančević and music by: Darko Rundek. One year workshop in three parts (Activities No. 5, 6 and 13), in three different locations and times, on two different theater projects aka two real project situation plus one classroom exchange situation is about spending time, eating, working and living with son:DA. It is all about working together, presenting, discussing and understanding site-specific as a term, as a method, a concept, way of living, functioning, creating. Architectural space of a big and old factory was a stage for the group of theater makers together with students in a process of staging, directing and working on a site-specific theater performance. Students were part of the team and not only observers. Part of the workshop were Paula Bučar, Eve Ormisson and Matis Mäesalu. The masterpiece of the 80’s, stylishly complete work of art from the end of the last millennium, the dialogue between the Dealer and Buyer in an extremely precise yet sophisticated way writes the history of our time. The history built upon trade, libidinal economy. When we do not know what the cause for the deal is, what is being traded with, we are not deprived of beauty, passion, sorrow and happiness at retrieval of the wanted thing or person. 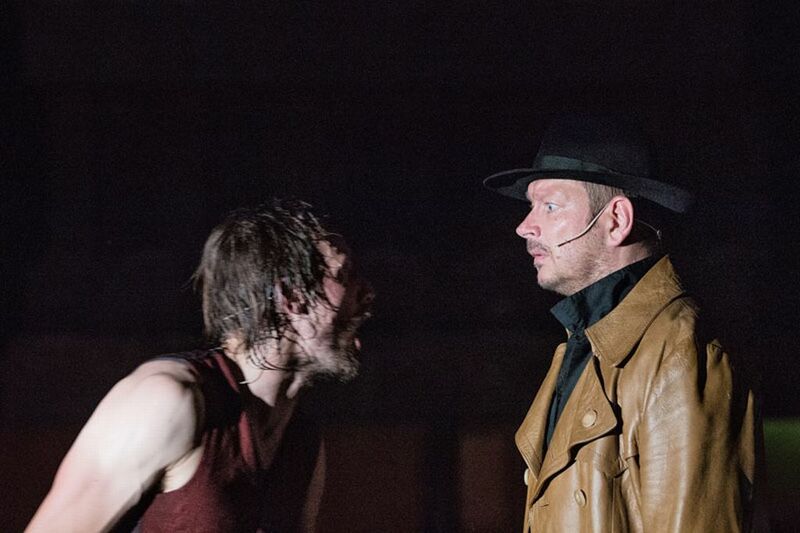 One of the peeks of cult dramatic Bernard-Marie Koltès who has fundamentally marked French and World’s theater of the last decades of the 20thcentury was later on in Kidričevo staged 4 more times (22nd, 23rd, 29thand 30thJune). Co-production of Mini teater, City theater, Novo kazalište Zagreb and Maribor 2012 – European Capitol of Culture, the performance In the solitude of the cotton fields directed by Ivica Buljan and starring Robert Waltl and Marko Mandić, that was developed in terms of two international projects (Puppet Nomad Academy III and Nomads of Beauty) premiered 21stJune 2012 in a huge abandoned hall of aluminum factory Talum Kidričevo. The masterpiece of the 80’s, stylishly complete work of art from the end of the last millennium, the dialogue between the Dealer and Buyer in an extremely precise yet sophisticated way writes the history of our time. The history built upon trade, libidinal economy. When we do not know what the cause for the deal is, what is being traded with, we are not deprived of beauty, passion, sorrow and happiness at retrieval of the wanted thing or person. 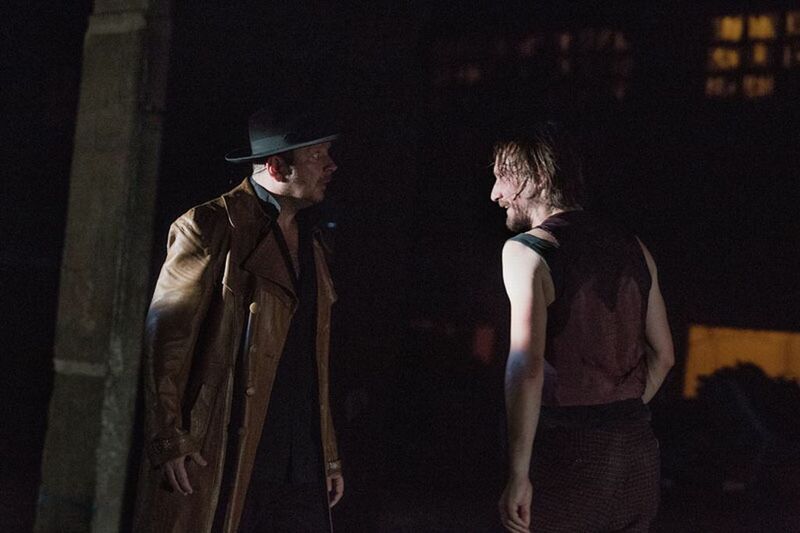 One of the peeks of cult dramatic Bernard-Marie Koltès who has fundamentally marked French and World’s theater of the last decades of the 20thcentury was later on in Kidričevo staged 4 more times (22nd, 23rd, 29thand 30thJune) will be staged on 5thand 6th August at the International festival of modern theater “Zadar snova” in Croatia. In October 2012 premiere night follows in Mini teater in Ljubljana. Date of Activity: 01.10.2012 -31.12.2012 – carried out 26th of January to 1st of Februar 2013. 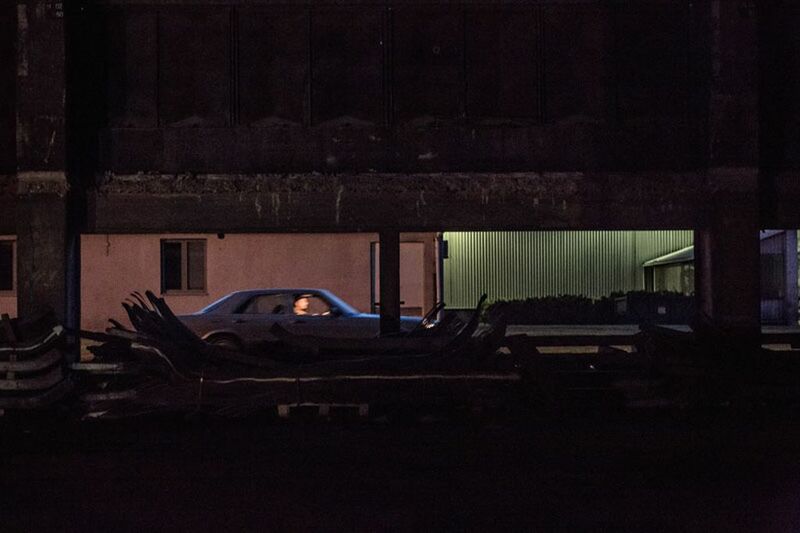 As a part of the performance Black Beast Sorrow in City Theatre Ljubljana (MGL), directed by Ivica Buljan and in cooperation with Croatian designer group Numen, Novo Kazalište Zagreb and Mini teater carried out workshops. A part of the workshop were Nina Bric, Zsófia Gereszdi, Viktória Hári, Ami Kadribašić, Piroska É. Kiss, Mateja Lukežič, Vesna Mitrović, Eve Ormisson, Polona Pirnat, Ajda Primožič, Keili Ritter, Boštjan Štorman and Marko Turkuš - students from Slovenia, Croatia, Estonia and Hungary. The workshop took place between26th of January 2013 and 1st of February 2013 in City Theatre Ljubljana (MGL). The leader of the workshop was the designer group Numen. 1. In the first part, the PVA film is strapped on frames that enclose the 'innocent' looking picnic area, serving as an actual and metaphorical membrane - a thin layer of order and denial protecting the reality of the protagonists from the constant proximity of horror. The space behind the membrane is continually filled with smoke ensuring that the film appears solid and white throughout the first act. At the onset of the cataclysmic event, the film is gradually dissolved under showers of 'acid' rain, in a manner reminiscent of the blistering, rippling and peeling of burnt skin. As a part of the Nomads of the beauty a theatre puppet show Knight Bajaja of Teátro Neline is coming to Ljubljana. On 28th of February it will be staged in The National Museum of Slovenija - Metelkova as a part of their exhibition A knight, a lady and a dragon. The Heritage of Medieval Warriors. The staging will also be accompanied with workshops and debate about the puppet show scenography and puppet history. The workshop was carried out by two masters of the proffesion Robert Waltl and Petronela Dušova, who explained the way puppets are made, and also the delicate way they should be handled and controled, while the children also had the opportunity to experience the managing of puppets first hand. As a part of the preparations for the left wing of the diptih Comedy of Women-Black Beast Sorrow directed by Ivica Buljan an Arte Povera Installation for the Comedy of Women was set. Although the installation is notable for its use of simple, artisanal materials, the installation did not use these to the exclusion of all else. And although deriving from the "poor art" or "impoverished art" idea it was far from poor in its communicativeness. As a part of the project The Nomads of the Beauty and in preparations for the Comedy of Women in November 2012 in the City Theatre Ljubljana (MGL) modern scenography workshops were held by renowned croatian artist Slaven Tolj. In these workshops and the ones held for the other part of the Buljan’s diptih (The Black Best Sorrow) more than 20 artists, architects and young scenographers from Slovenia, Croatia, Serbia, Estonia and Hungary along with their mentors become acquainted with the contemporary theatre scenography. The workshop consisted of participants from Serbia, Croatia and Slovenia. Participants were young artists of different artistic profiles. Part of the workshops were David Orešić, Nina Bric, Veronika Ule, Tina Mohorović, Ami Kadribašić, Adriana Furlan, Mateja Lukežič, Boštjan Štorman, Vesna Mitorvič and Matic Gselman from Slovenia, Milica Ivković and Nebojša Antešević from Serbia and Paula Bučar, Luka Kedžo, Andrea Miletić and Liberta Mišan from Croatia. The leader of the workshop was the Croatian visual and multimedia artist Slaven Tolj. The workshop was aimed at the elaboration of the stage design, which included development of the established concept. It was necessary to develop all segments of stage space and decor: define the use, purpose and changing of decor; make the selection of appropriate materials for the decor; solve how to mount all segments of decor and its change; find all the appropriate props. All participants have worked together on all parts of the stage set. Every day in the first part of the daily schedule we stood proposals, developed solutions, discuss the final solution. It was necessary to: determine the exact position and movement of cranes, hoists within (the pedestal) to solve men's room or office on the construction site; solve women's room, and in the rotation to get the canteen, the way to solve the construction pit and set elements in the background of the scene (the scaffolding). For each of these segments are given the proposed ways of making and the type of material. After forming projecting parts of the set and define all spatial segments, it was necessary to find appropriate examples of materialization and props from the former DDR. I worked on this research by relevant examples. After which we talked about them, and together formed the final decision and selection of materials, equipment and methods of implementation. In a smaller group, in which I participated, we worked on developing models that we've solved the way of forming part of the scene that takes up construction pit. As a part of the project we are also preparing workshops with the visual tandem son:DA in Tallinn and with one of the greatest conceptual and visual artist Dalibor Martinis in Belgrade, Serbia. As a part of the celebration of the 100th anniversary of the release of the novel of one of the most popular children’s novel, The Fabulous Adventures of the Apprentice Hlapich by Ivana Brlić - Mažuranić, an directing of Robert Waltl and dramaturgy of Olja Savičević Ivančević and Ivica Buljan was combined with pop-art scenography and puppet design of Siniša Ilić. While the music of Vojko Vrućina, , the costumes of Ana Savić Gecan and the choreography of Gyula Cserepes additionaly underlining the innovative painting/puppet installation. Workshops for the performance Little Sleepy Star. In a way already premiered and done, made theater and puppet play became a space-time-body which was changed and in the question of lighting design re-made during the two day course, workshop on it. Part of the workshop were Robert Waltl, Matej Primec, David Cerar and Hotmir Knific. What does it mean to work site-specific? What does it mean to live, be, communicate site-specific or to react to things site-specific? All this the questions where the starting point of a classroom exchange between students and son:DA, between what are we doing and how are we reacing to things. three concentrated days were moments of contemplation on the past situations of this project aka on the past situations all of us were working, living and being in. Workshop does not end only in the times and space of the school. The Jubilee 20th International Festival of Children’s Theatre being held from 19th to 25th of May 2013 has on the 13th of April 2013 carried out a Scenography Workshop for Children as an announcement of the festival. A talented young scenographer from Croatia, Ljerka Hribar, acquainted ten Elementary School students with the basis od the scenography skills. Thru this workshop children got an insight how a theatre scenographer thinks on his mind path from the text to the idea for the solution. The workshop was accompanied also by the process of making a model and a scenography for the play Slavuj was created. As a part of the international European project Nomads of beauty 2nd and 3rd April in Mini teater hosted sound designer and musician from Belgrade - we prepared extremely interesting sound workshops and experimental concert of the young serbian musician, improviser and DJ – Luka Ivanović - Lukatoyboy. On Wednesday, April the 3rd 2013 Mini teater at Križevniška 1 hosted young sound designer, DJ and musician from Belgrade, Luka Ivanović - Lukatoyboy. After the performance Bartleby, the scrivener for which Mini teater with Luka Ivanović received Borštnik’s award for sound design, Luka Ivanović prepared a solo DJ performance. The day before, on April the 2nd 2013, in Mini teater at Križevniška Street 1 sound workshops for children from age 5 to 12 in smaller groups with Luka Ivanović were carried out. Small sounds for little people in great action. Voice improvisation, sound effects, listening to sounds in the room and discovering their usage and manipulation of them. Musician and soundartist Luka Ivanović has in 2012 performed and led workshops for children at renowned festivals UNSOUND in Krakov and Clubtransmediale in Berlin and Serbian Dis-Patch and Ring-Ring Festival. At festival KidsPatch he has cooperated from the beginning when he in 2008 in terms of the Dis-patch program to children, parents and audience presented a unique and unconventional approach to work and play. Experiences and innovativeness will be grand. Lukatoyboy is mostly recognized in sphere of electro-acoustical improvisation music which he creates with voice sampling, sounds of the surrounding devices and toys. Not only in Belgrade, Serbia, Croatia, Slovenia and Bosnia and Herzegovina, Lukaboytoy also participates in numerous programs abroad, organizes workshops and performs from Netherlands, Austria, Germany, Switzerland, Poland, Romania, Turkey Hungary, Portugal and he US. In terms of the Blind Tapes project from 2011 he also publishes audio tapes with recordings of different participants of the Blind Tape Quartets project.